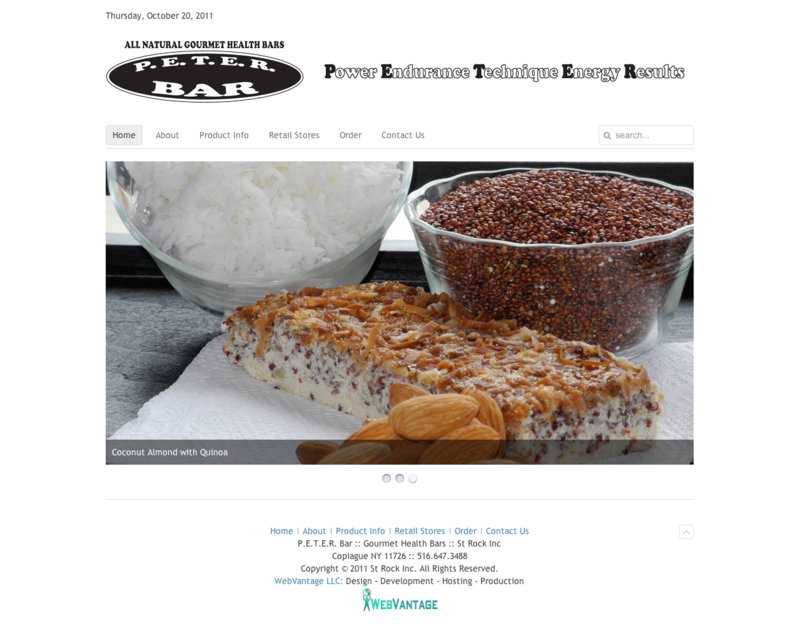 PETER Bar is a leader in gourmet health bars that are all natural and high in protein. Our products give you an opportunity to consume good clean food on a daily basis. We do not offer additives or preservatives in any of our products. 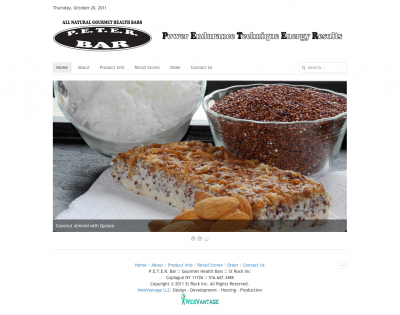 I want to thank, Cooch of WebVantage for giving me a wonderful experience in building my website for my gourmet health bars. Cooch worked with me for many hours constructing what now is peterbar.com. I appreciate the prompt return emails and phone conferences. His knowledge in graphic arts, web law, and marketing has helped me proceed forward in my dream. Thanks so much!